Update: We have updated this article to include new selections in August of 2018. The PC is filled with a myriad of games, many of which are free to play. These are made up of titles that are just as good as their premium counterparts, and come in a range of genres from shooters and team-oriented MOBAs to turn-based and real-time strategy games. With that in mind, we’ve compiled 50+ of the best free to play games that the PC has to offer. They are not listed in any particular order, so don’t get mad at us for putting League of Legends over Dota 2. Duelyst is a competitive multiplayer tactical turn-based strategy game with cards. It has minions, spells, and artifacts–all the stuff you’d come to expect from a digital card game that’s played out on a board somewhat similar to Final Fantasy Tactics. It’s also one of the best online games there is at the moment. Definitely give it a try. 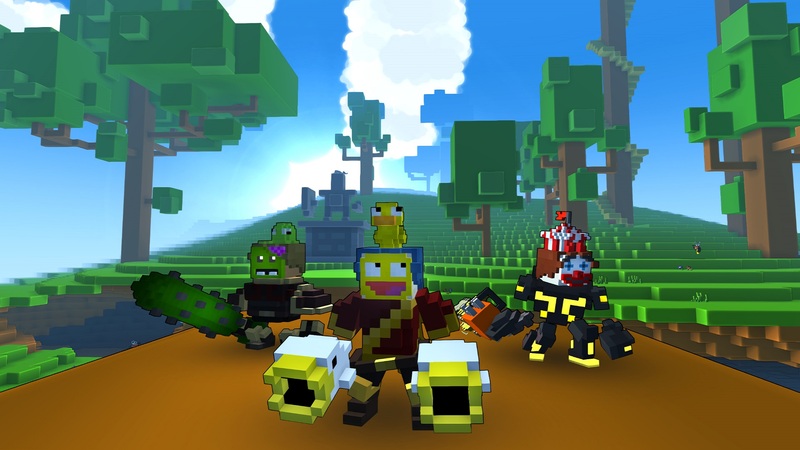 This free-to-play action MMORPG is a bit like Minecraft, but offers way more combat and adventure and is set on a massively multiplayer server. Instead of simply building stuff, players can group up with others online to travel through the vast lands to discover weird new things and explore dungeons to kill strange monsters. 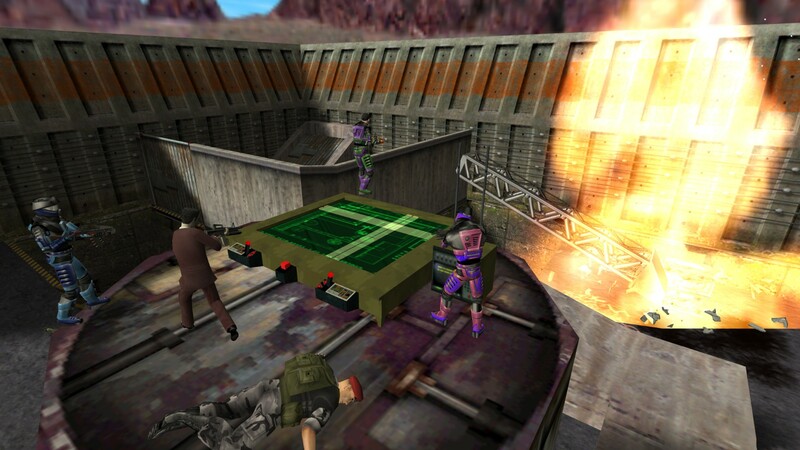 This cooperative multiplayer game was originally developed as a mod for the original Half-Life. It was pretty popular back in the day, and now it’s back as a full fledged standalone title on Steam. In Sven Co-op, players must work together against AI and solve puzzles together as a team. 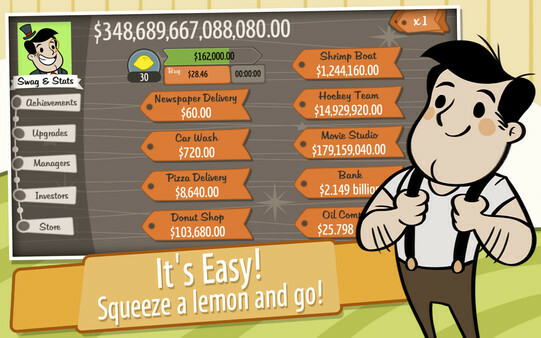 In AdVenture Capitalist, the idea is to make money – lots of money. You start by squeezing one little lemon for your lemonade stand and then… well, then it’s two in the morning and you’re an oil baron. The art style is reminiscent of the original Monopoly board, and there’s a spritely ‘50s soundtrack to keep you on track in your monetary adventures. Capitalism is fun, see? 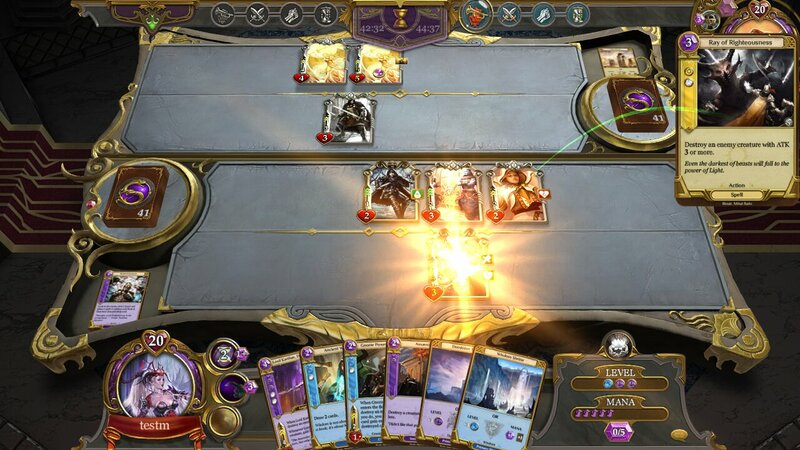 Spellweaver is a new free-to-play digital card game in the same vein as Hearthstone and Magic: The Gathering. The title adds some new unique features to set it apart from its competitors. Namely, players can develop skills for their hero as they play. The hero complements your deck and affects gameplay. Developed by Digital Extremes, Warframe is a cooperative free-to-play third person shooter that puts players in teams of four highly sophisticated Tenno commandos to take on a host of enemies throughout the solar system. Players can engage foes in melee and ranged combat. The sequel to the Warcraft 3 mod, Dota 2 is a competitive action game that’s played by millions around the globe. Players pick from a pool of over a hundred heroes, forming two teams of five players that go up against each other on a map, defending their base and attacking the enemy’s. Marvel Heroes 2015 (also known as Marvel Heroes) is the massively multiplayer online action RPG that allows players to take on the roles of many popular comic book heroes from the Marvel universe. Playable characters include the X-Men, the Avengers, the Guardians of the Galaxy, and much more. Players battle against infamous villains like Dr. Doom and Loki throughout a game that receives periodic updates and new content for free. Heroes & Generals is a free to play massively multiplayer online FPS that’s set in the midst of the Second World War, where Axis and Allies vie for control over Europe. The game currently sits in Steam Early Access and sees the addition of new content all of the time. From the developers of World of Warcraft and Diablo comes Hearthstone: Heroes of Warcraft, an online card game that pits players against each other using fully customizable player decks. Players can earn new cards simply by playing the game for free, or pay to gain instant access to new decks of cards. SCP: Containment Breach is a free-to-play title based on the SCP Foundation mythos. To be exact, the game is based on SCP-870, a story about a hideous man-made object which comes to life when you aren’t looking and attempts to kill you. It’s a bit like the weeping angels in Doctor Who. If you aren’t staring at it or looking at what it’s doing, it’ll kill you, so you have to keep your eyes open and blink whenever you have a chance to do so so you don’t get tired and die. Planetside 2 is a free-to-play massively multiplayer first person shooter which offers full scale battles taking place over the face of the planet Auraxis, where three distinct groups battle for territorial dominance. They have at their disposal numerous vehicles and weapons to allow for a futuristic experience of war. It’s not a game that’s easy to pick up and play but it’s one you’ll want to master as it’s very addictive. You’ll need to invest some time in getting with a dedicated group of players and staging assaults, or you may find yourself lost and alone without a clue as to your objectives. We love to be scared, and Slender manages to do just that. Some would say that Slender isn’t so much of a game as it is a short, interactive experience that’s built right into the browser—but we think otherwise. If you love scares, do yourself a favor and play this one with the lights off and the headphones on. Slender is played through the browser, but that don’t let that stop you from thinking it isn’t anything but a real game. Team Fortress 2 is Valve’s biggest free-to-play game and one that offers AAA-quality first person shooter action through a variety of game modes ranging from simple Capture the Flag and Team Deathmatch, to unique ones like Push the Cart. There’s even a variety of variations on these modes, which see both teams pushing separate carts. The game also plays host to a variety of objective control modes and a bomb delivery mode. In addition to all of those competitive team-vs-team modes, players can also indulge in a cooperative mode called Mann vs Mann, which pitches players against throngs of robotic enemies across a variety of maps. Released by Valve for free, Alien Swarm is a remake of the Unreal 2004 mod that brought classic Gauntlet-style cooperative gameplay to Steam. With several classes to choose from, a host of upgrades and a ranking system, Alien Swarm provides countless hours of cooperative play. Knytt Stories is the brainchild of indie developer Nifflas. It combines platform action with art—surreal landscapes are its heart and soul. As a bonus, Knytt Stories even comes with downloadable stories that greatly extend its experience. Within a Deep Forest is another one of Nifflas’ creations. In the game, the player must control a ball that can be transformed into different substances and materials found in the landscape and use its transformative abilities to bypass obstacles to get to the next area. TribesNext is a fan-made release of Tribes 2. Arguably the best multiplayer shooter for its time, Tribes 2 can now be enjoyed for free. TribesNext offers continued support for the game, allowing players to browse game servers and play online matches in a hack-free environment. Spelunky takes players into a randomly generated underground world with every new adventure. Every cave is riddled with traps, angry monsters and untold riches. Players with a low tolerance for failure need not apply! Cave Story is an epic adventure told in gorgeous 16-bit. Inspired by games like Metroid, Castlevania and Commander Keen, Cave Story puts players in the role of an amnesiac boy who awakens in the strange world populated by floating islands. Players journey through the world completing platform puzzles and shooting enemies. D&D Online is an attempt to bring the magic of the pen and paper game Dungeons & Dragons to the PC. As a massively multiplayer game, D&D Online invites players to group up in parties or much larger raids to clear dungeons and progress through a pre-written story. Players will have emergent experiences that color their character’s personal story. Tiberian Sun is regarded by many as one of the best real-time strategy games ever created. Developed by Westwood Studios as a sequel to the groundbreaking Command & Conquer, Tiberian Sun and its expansion pack Firestorm continue the story of the GDI’s war against the sinister Brotherhood of Nod. Like Command & Conquer: Tiberian Sun, the original Red Alert was released for free by its publisher EA as part of a promotion for Red Alert 3. In this RTS, players can play as either the Americans or the Soviets in an alternate history, altered by the death of Adolf Hitler. Star Control II is arguably the best game in the trilogy of Star Control titles. Like other titles in the trilogy, it is a story-driven space exploration adventure game where the player (in control of the Captain’s Ship) interacts with strange alien races through hours of dialogue and occasional ship-to-ship combat. Quake Live is a new variant of Quake III Arena, designed to run on Windows, OSX and Linux platforms through a web browser plugin. The FPS features a number of updates over Q3A and allows players to go head to head in online duels. Players can participate in free-for-alls, capture the flag, and team deathmatch, to specialized modes like InstaFreeze. Quake Live enjoys an active community of both amateur and professional gamers and is one of the few online games intended to be played as a professional sport. Before there was Team Fortress 2, there was Enemy Territory. Developed as a free multiplayer add-on to Return to Castle Wolfenstein, players took on the roles of axis and allies in this heavily stylized Gothic take on World War II in an objective-driven multiplayer FPS. This DOTA-inspired game is one of the most popular online multiplayer games the internet has to offer. It may not be entirely possible to thrive on League of Legends by sticking to the free mode, but that shouldn’t stop you from playing the game and—if you don’t like the idea of spending time to unlock champions—pay to unlock the ones you’d like to play. Passage is the definition of “games as art.” The game manages to elicit more emotion through its 8-bit graphics than most triple A titles. It’s the best 5 minutes you’ll ever spend playing a game. Dwarf Fortress is the only game on this list to favor a text user interface over graphics. It’s critically regarded as being one of the most intensive economic and strategic simulations to ever exist. Fortunately for players who can’t get used to the game’s text interface, there are a number of graphical mods that make it not only accessible, but even more enjoyable to play. Battle for Wesnoth is a free downloadable turn-based game in the same vein as classics like Panzer General and Fantasy General, where battles take place on a hex map. Loosely based on the Sega Genesis title Warsong, Wesnoth is an open source strategy game with very simple rules yet remains both challenging and fun thanks to its strong AI. Simutrans is an open source remake of Transport Tycoon, where the player strives to run a successful transport system by setting up railroads, travel routes and mass transit. Tyrian is without question one of the best top-scrolling shooters to ever exist on the PC, standing among the likes of Raptor and Raiden 2. Tyrian differs from the competition with its story-intensive single player campaign and RPG-like elements, as players can upgrade their craft with all kinds of weaponry. Players can even ditch their existing craft for all new ships. Thanks to the open sourcing of the game, fans have made it possible to play Tyrian natively on both Windows and OSX platforms in high resolution. OpenTTD is a remake of Transport Tycoon Deluxe. As an urban planning and transport simulation, the player’s goal is to earn profit through the transportation of passengers and freight by land, water and air. OpenTTD offers a multitude of customizations and even supports multiplayer gaming through LAN and Internet. King’s Quest I is a fan remake of the Sierra’s original adventure game, released in 1984 and subsequently remade in 1990. It features all new graphics, a point and click interface, as well as full speech for all the characters in the game. King’s Quest II takes off after the events of the first game. Like its predecessor, it has been remade with new graphics, interface and audio. 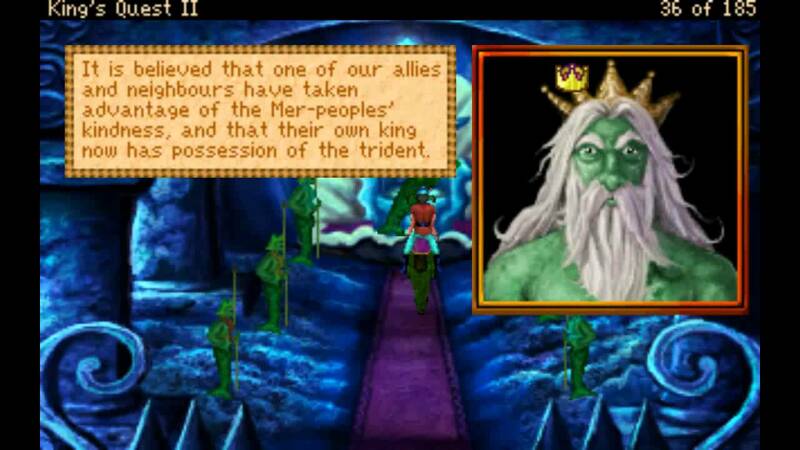 The quality of the remake rivals Sierra’s own King’s Quest VI. King’s Quest III is the final planned remake, and like the two previous games, adds new audio and visuals. The game also features several fleshed-out characters, new areas, and puzzles not seen in the original Sierra version. Released for free by Studio MekTek, MechWarrior 4: Mercenaries is the final game in the fantastic MechWarrior series of mech simulations. Players take on the role of a mercenary pilot named Spectre who finds himself in the employ of the Inner Sphere. The player makes a living by performing missions and completing contracts for the game’s various factions. The outcome of the story depends on the missions the player chooses to take on and the choices he or she makes during the game. MechCommander is a real time tactical game which puts players in command of a company of mechs. Tasked with taking back the planet of Port Arthur, players start out with the weakest of mechs and must salvage equipment and acquire superior mechs while completing various objectives in missions. Much like an RPG, pilots also increase in skill as they use them during missions. Path of Exile is an action RPG title that is often considered a clone of the Diablo series. The video game puts players into an exile who must live on a continent known as Wraeclast which houses other exiles for their various crimes. Much like Diablo, players will take on quests, fight off a variety of enemies, and lastly, gather new loot. World of Tanks is an MMO that puts players into the mid-20th century. Overall, the game is an action title that features vehicle combat. Players will be fighting within a variety of tanks that will vary in stats and as players progress within the game, new tanks can be collected to use in online matches. Smite has been around for a few years now on the PC platform. This is a MOBA video game that focuses on mythological figures going to battle. If you’re familiar with titles such as League of Legends then you can expect the same overall gameplay within Smite. However, there is a number of game modes to choose from which will alter the overall gameplay goals or the maps, such as Clash, a game mode that only contains two lanes. Mandagon is a platformer that is inspired by Tibetan theology. The game design looks similar to titles such as Super Meat Boy and Fez, however, the game is non-linear offering a bit more exploration. Overall, your goal is to acquire various tablets and bring them to shrines and while that sounds pretty bare bones, there is a Narrative journey to be enjoyed while you play. Often considered an Overwatch clone, Paladins is still a fantastic game. There are some slight differences between the two hero-based shooters, but you’ll still find that each hero in Paladins will have their own unique abilities that they can bring in to the fight. With that said, you can expect there to be some more emphasis on purchasing some microtransactions, but it makes sense since the overall game is free to play. Warface 2016: Anubis is a polished FPS video game that offers both the ability to play with or against your friends. The title plays extremely well, though being a free-to-play title there is some emphasis on paying a few microtransactions. With that said, these microtransactions are completely optional where if players spend enough time going through the game, new unlocks and items can be acquired without spending a dime. Originally released to be a subscription-based video game, Wildstar has since turned to the free-to-play model. This is an online RPG title set in a fantasy sci-fi world in which players will be completing quests, going through dungeons, and facing against other players. A nice little addition to this video game is that gameplay doesn’t necessarily rely on level progression as much as the title focuses on skill level. Paragon is another hero-based video game that plays a bit more like a MOBA title. Players will be able to select from a range of characters as they battle against another team and while it is free-to-play, there’s no real reason to purchase in-game content. Being that the game is more of a MOBA style video game, team play is incredibly important when facing opponents and completing objectives. Evolve Stage 2 is essentially Evolve which you may have remembered from when it first released a few years ago. After support ended for the original Evolve video game, Evolve Stage 2 released with a few changes for players to enjoy. For the most part, this is still very much player vs player type gameplay. While there is still the 4v1 gameplay that was present in Evolve, there are a few other new game modes added in which players will either become a hunter who must kill off any monsters, or become a monster themselves and hunt down the remaining players. After gaining attention as a minigame in The Witcher 3: Wild Hunt, Gwent: The Witcher Card Game released in a beta. This is a turn-based card game where two players will face against one another, similar to Hearthstone. The goal is to win two out of the three rounds by playing and collect various cards. While the game has a positive reception, we still have to hold off for its official release. Fortnite has become one of the biggest video games to play at the current moment especially for the battle royale mode. With its over-the-top cartoonish aesthetics, Fortnite has attracted players from all ages. 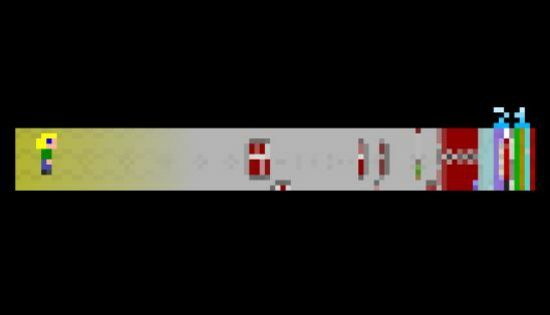 Overall, the goal of the game is to be the last man standing in a tense third-person shooter. Players are able to roam the map freely as they search for resources and goods though at certain periods the map size shrinks forcing players to eventually meet in a small area. Quake Champions is the latest Quake main entry title since Quake 4 released in 2005. This is another fast-paced arena FPS where players will face against each other with a roster full characters that have their own unique abilities and traits. Likewise, you’ll even find some new faces in the roster such as B.J. Blazkoicz from the Wolfenstein series along with the infamous Doomguy. Currently the game is in Early Access on Steam but it was announced during QuakeCon 2018 that the game has gone completely free-to-play. If you typically don’t enjoy battle royale video game titles then you may want to give this game a try. It’s quickly gained a massive audience and it offers a slightly unique spin on the franchise with the inclusion of hero class characters. Even if you still don’t find any enjoyment out of the game you won’t have to spend any money to give it an honest try.